Indie rockrodents RAT!hammock continue to cement themselves as standouts in Melbourne's sizeable music scene, with a twisted new music video and a quick tour in support of their new track, the sensational shoegaze earworm, otherwise known as 'Ghost'. A reckoning and respectable slice of songwriting, 'Ghost' echoes the sensibilities of lo-fi luminaries Pavement and (Sandy) Alex G. Doused in reverb & distortion, triple j's Richard Kingsmill similarly describes it as "one for lovers of classic alt indie". Heartbreaking and heartwarming all at once, 'Ghost' is without a doubt RAT!hammock's finest work to date. The decidedly dark, yet overall hilarious music video for 'Ghost' echoes this sentiment in spades. Forming in 2017, it was the rough jangle of 2018's 'June' that truly set them on the path to prominence. Laden with all those familiar characteristics of an effortless classic, the four-piece snagged a Triple J Unearthed Artist Spotlight, and a tour alongside Tiny Little Houses soon followed. 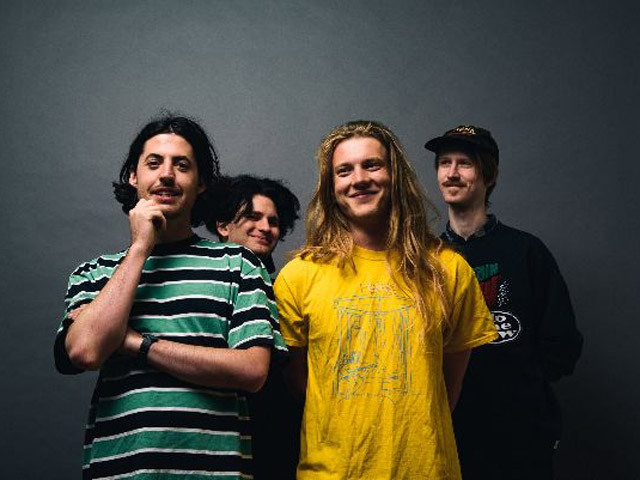 2019 has already seen the boys score a spot on the coveted Melbourne leg of Laneway Festival, as well as a national support slot with Brisbane indie legends Last Dinosaurs. Now the Rat' are ready to take the reins on their own headlining tour. The 'Ghost' tour kicks off June 7 at RAD Bar in Wollongong, before hitting Sydney and finishing in their hometown Melbourne.